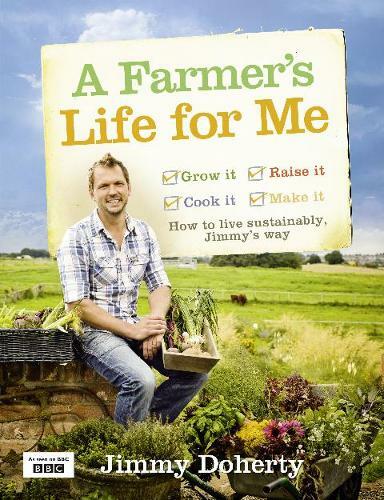 In this practical guide TV farmer Jimmy Doherty imparts his experience and ideas to show you how to achieve the self-sufficient lifestyle and add to your life whether growing for your own pleasure - or profit! Farmer, entrepreneur and TV presenter Jimmy Doherty is living proof that you can successfully grow and rear your own food. Whatever your circumstances and whether you have a window box or a couple of acres, this book is full of ideas and suggestions to help you get started. Using Jimmy's knowledge and experience, this book will take you through all the realties to consider on the road to self-sufficiency, but above all it shows just how achievable it can be to grow and even sell your own produce. Focusing on the two main areas, what you can grow and what you can rear, this book will answer all of your questions, offer you the most useful and practical advice and show you how you can apply these ideas to suit your situation. So, if you want to make your own juices, bread or honey to sell at a local farmers market, save yourself the big grocery bills with your own vegetable garden, sell your own pork sausages or lamb burgers to local restaurants or rear your own turkey for your Christmas dinner this book will give you the practical knowledge and the confidence to actually do it. Jimmy covers everything from the skills to equipment to environmentalism to marketing and even shows that you don't necessarily need any land to live the self-sufficient lifestyle. Practical, realistic but full of good advice and encouragement, and case studies and essays to inspire you, A Farmer's Life for Me is the ultimate guide to the business of self-sufficiency.